Well, for a little bit about me; the person: I'm a single 38 year old with no children, which is great as far as I'm concerned. From the tender age of 5years old I've been telling my Mum that I never wanted to have kids and it's still true to this day. I think some people are made to be mothers and I think that I'm not one of them. I prefer cats and dogs I guess, I've always gotten along better with animals than humans. I'm a middle child of 3 kids, divorced parents at age 13 and the 'quiet' child of my siblings. My star sign is Gemini which can be a blessing and a curse sometimes as it's hard to make decisions and stick to one side of the fence when you can clearly see both sides of every story. I'm chatty with people I know and shy with everyone else in person, but type like a demon online given half the chance. Sometimes speak before I think, but mostly over annalyse everything. I really don't like excercise, unless it's clicking my mouse for the next YouTube video!... Don't much like driving to new places but once conquered it's not much of a problem. How did I start making cards? 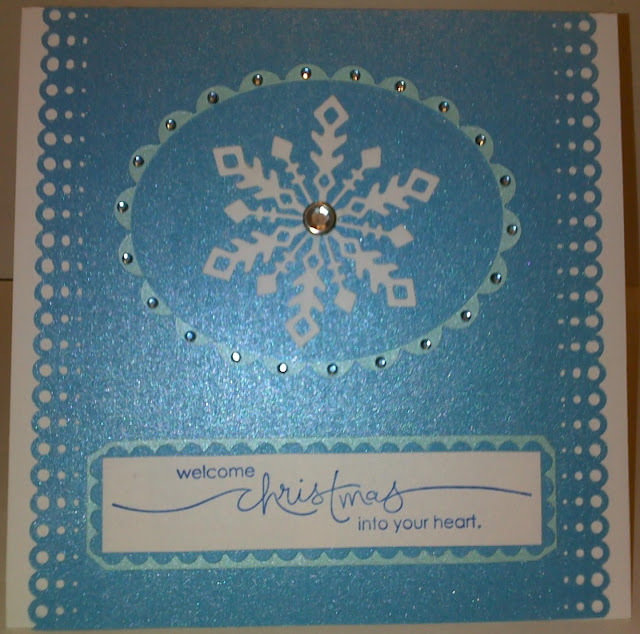 I found that I really enjoyed making this card and I'm pretty sure my love of cardmaking stems directly from there. I'm sure all the wonderful comments from family and friends helped with that too. The next two cards followed in quick sucession, along with another couple of cards that I won't post as I really don't like them. Since that humble beginning i've now made quite a few cards and when I figure out this blog thing a little better hopefully there'll be a way to have a gallery of cards to make it easier to see and post them. YouTube is mostly responsible for my inspiration and my spending! 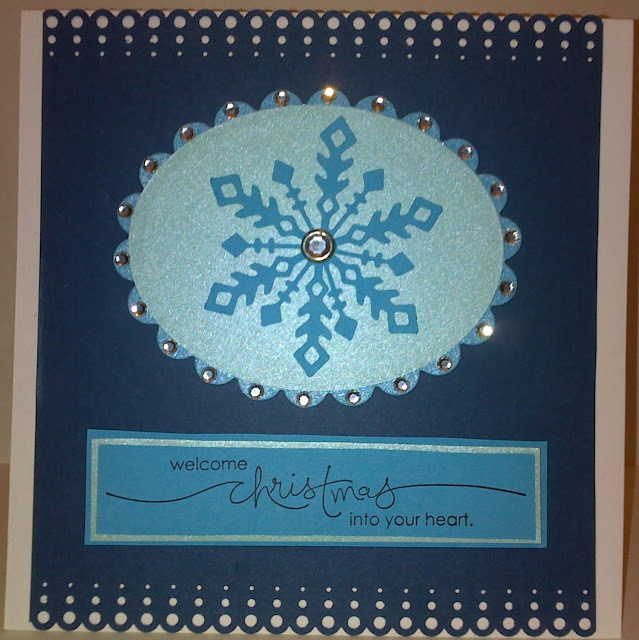 Probably about 50% or more of the 'cardmaking stash' that I have has been been influenced by YouTube and watching other cardmakers videos. It is a wonderful tool for learning about new products, techniques and ideas. YouTube is like having a crafting/cardmaking tv channel available 24/7. The only problem I've found with it is it can tend to chew up all of my 7gigs of internet usage... it would be fantastic if we got a crafting channel on tv - free to air tv I should say. I also gain ideas from cardmaking magazines, and my choice of mag is usally directly linked to what the freebies are for that mag, like most cardmakers I would imagine. I'm actually considering getting a subscription or two with my tax refund this year, when I eventually get around to doing it. A few of the mags in my collection include: Australian Simply Cards, Creative Cardmaking Magazine and Scrapbooking Memories to name a few. The funny thing is that I rarely make cards based on the magazines I read! LOL, I really enjoy reading them and finding out new techniques. Most of my 'creations' are just that, creations! Anyway, I think I'll sign off for now and see what else I can do with this blog, thanks for reading! Karen I loved reading your blog!! I will be looking forward to the next installment!! Cool, thanks Marcelle, I hope I can live up to that! Great start to blogging Karen. 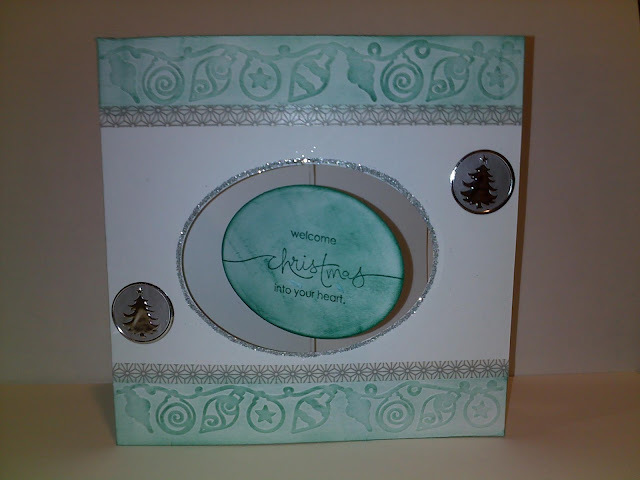 Great cards Karen and well done setting up your blog. Your cards are gorgeous, and I loooove that border punch! Thanks Cheryl, I worked out one of the subscriptions would save me almost $60, so it's more a matter of how many subscriptions do I want! lol That border punch (circles?) reminded me of snow.. it's a martha stewart punch around the page - sorry but it doesn't have it's name on it or the packaging I kept.